Al Coates - Adoption:Fostering:SocialWork: Why I blog. 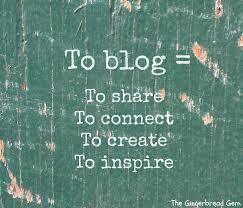 I was asked last week by a friend how come I write so many blogs? I struggled for a coherent answer so went for a glib one noting that there's nothing on the TV so what else am I going to do? I can confess it's been a frantic few months, one job ending and another growing, roles and responsibilities transforming and stretching and getting used to being a self employed Social Worker. Writing blogs is really not very high on the family's list of priorities. But it gets to a point in the week and I get twitchy knowing it's time to write a blog, something or someone will have sparked a thought or comment that I need to get off my chest. Some times they write themselves sometimes it's like smashing words out of granite with a loaf of bread and a banana as a hammer and chisel. The quality and popularity is variable and in no way correlated to how much time I spend writing them. My record so far is 7 minutes for the quickest and 4 hours, over several sittings, for the longest. So why do I do it? After I'd given my glib answer to the friend I tried to give a long answer but got bored of my own voice after two minutes and gave up. A few days later the answer popped into my head, I write because its my life and not my job. I rub shoulders with passionate, articulate and competent adoption professionals most days and they inspire me to be better, work harder and go further. But it's their job and I'm pretty happy being an amateur, I dance to my own tune. Like the behaviour review, the implications for professionals are potentially significant for 6 hours a day, 5 days a week and 33 weeks a year. For me, and many families, the significance is 24/7/365 as the impacts of what happens at school spill into every corner of our lives. Long after the professionals are gone and retired adoption will continue to occupy a central space within my heart, mind and life. Because of that I'll still be bleating on about this 40 years from now. I'll keep bleating on because the consequences of adoption are life long and enduring. I'll keep bleating because I keep getting cross or bothered or moved or wound up or moved to tears. It's the same reason amateurs run support groups, write books, research, read, train, retrain, lobby fight and fight some more. This might be a little off topic: when you say "6 hours a day, 5 days a week and 33 weeks a year" do you mean to say that most people working in adoption have no direct experience of it? Thinking back now, the social workers we've met so far have never either fostered or adopted a child. Isn't that curious? I agree, many SW have direct experience, I was thinking more of teachers in relation to the Behaviour review. I think direct experience is transformative and informs their practice and interaction with us mere 'service users'. Thanks for sharing your "why". Sometimes I think I blog because I'm just not that quick. Meaning, in order to process this journey at all I have to write out my thoughts and then discuss them with others. After I hit publish, I really do hope what I write is helpful to other families. Usually I feel a huge sense of relief when I publish a post because it'one more tiny item I've been able to partially process. That makes a lot of sense, there's stuff floating around my little mind and condensing and sorting it puts it to bed. I enjoy it when it stimulates a conversation and others find it useful but I'm not sure that is necessary for me to enjoy it.